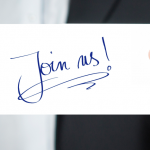 We are looking for a Business Analyst/Project Manager to join our team. As BA/PM you would own and regulate the processes by which we deliver our digital innovation services, and support our business growth by managing the life-cycle of internal R&D and client innovation projects. If you have at least 5 years’ experience in a comparable role, and if you are instinctively collaborative, with strong analytical ability and a strategic mindset, then you could be the person we are looking for. Do take a look at the full BA/PM job description on LinkedIn and then get your application to us by 15th February 2018. We want to fill the vacancy as soon as possible, so interviews will be held week commencing 19th February 2018.